This school semester, I am one of the teaching assistants responsible for the labs of the course "Advanced Ecology". The lab for the next month is natural selection of gall fly (Eurosta solidaginis) larvae from predators based on gall size and height as selection traits. This lab is actually quite popular among universities and colleges (try Googling "goldenroad gall lab"), even though I did not do this when I was an undergraduate in UBC. If we think about it, natural selection is an interactive link between the studies of ecology and evolution - how organisms grow and survive in its habitat (through biotic and abiotic selective forces and traits) and how this leads to phenotypic variations among species and populations. In early spring, E. solidaginis fly adult females lay eggs on goldenrods shoots. The developed fly larvae borrows into the plant and secretes chemicals that cause the plant to grow abnormally in the region occupied by the larvae. The gall fly larvae can be parasitized by the wasp Eurytoma gigantea in the summer and predated by avian predators in the summer. 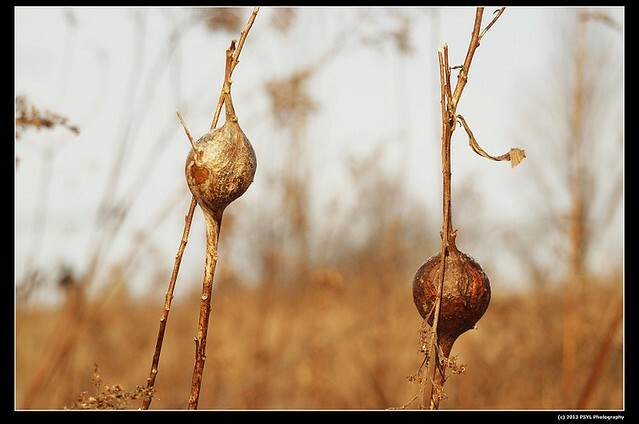 Fly larvae in smaller galls are more likely to be attacked by parasitoid wasps since a female wasp needs to insert its ovipositor into the gall to lay its eggs; therefore, there is a selection force towards larger galls from parasitoid wasps. There is also a beetle predator named Mordellistena convicta that bores into galls to lay its eggs next to the vulnerable fly larvae. On the other hand, since birds are visual predators, galls that are large and high above the ground are more likely to be predated by birds; hence, a selection force towards smaller galls from the avian predators. The importance of gall size and height above ground have significant selective influences on the fitness of the fly larvae, and by measuring the galls and determining the fate of fly larvae inside the gall, we can graph predictor and response variables to determine the selection gradient, which is basically the regression coefficients (which can either be linear or non-linear). 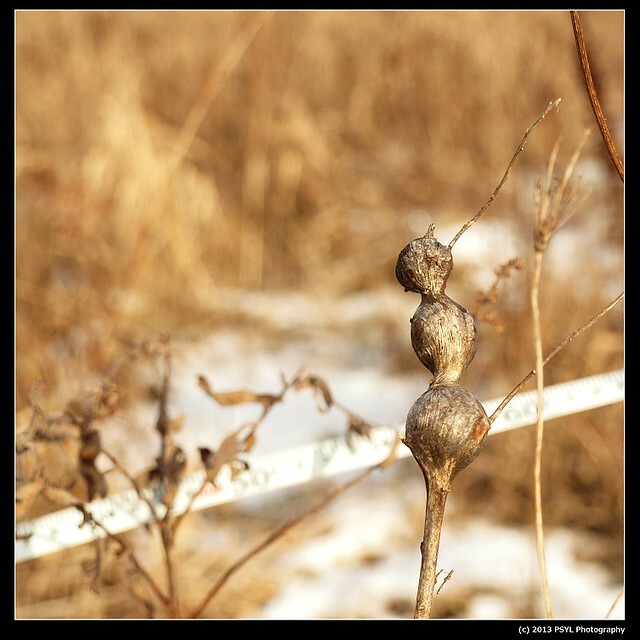 Here are some photos of goldenrod galls, which are quite variable in nature. 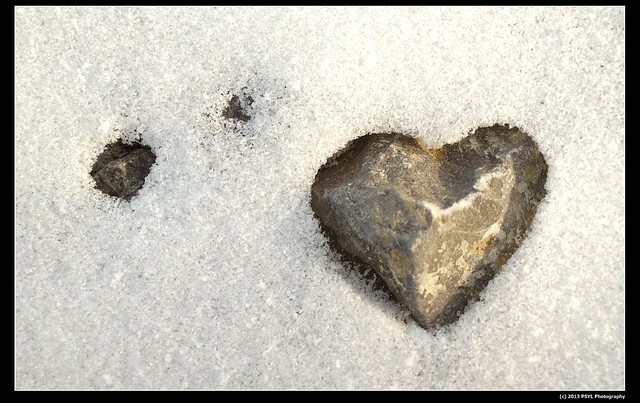 I found this heart-shaped rock covered by snow while walking around and supervising the students. Neat! This reminds me of the heart-shaped cloud I saw almost three years ago.